the fash pack: win! win! win! 2. to qualify to win, you must correctly answer the question below. the names of the first 10 people to send in the correct answer will be raffled and one will be chosen. 3. email your answer to thefashpack.blogspot.com@gmail.com with the subject line "pond's contest." 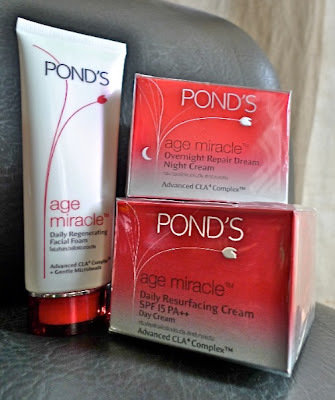 ON WHICH AMERICAN TV TALK SHOW WAS POND'S AGE MIRACLE DAILY RESURFACING CREAM TOUTED AS "ASIA'S CULT CREAM"?